I always had passion for motorbikes, especially so because everyone around me tried to prevent me from riding as I was growing up. I have started riding motorcycles just 3 years ago not knowing what to expect. I was not sure about whether I want to ride sport bikes or off-road monsters or touring rigs or choppers. 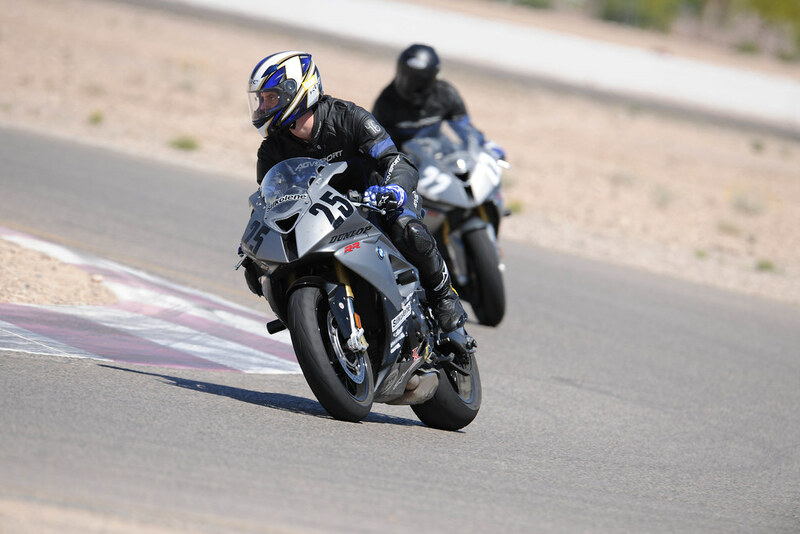 Last year I went to a 2 day training camp at California Superbike School to their Las Vegas Motor Speedway offering. 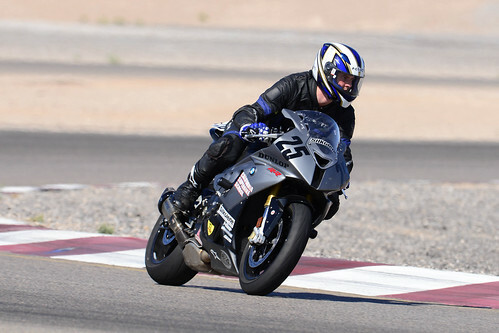 I’ve learned skills to handle a powerful BMW S1000RR superbike around the track. Without question, those two days will forever remain a highlight of my life. The training was intensive, well organized and valuable. But I realized that track racing is out of reach for me. Not only there are no racing circuits around where I live it’s a also demanding financial burden - tires, circuit fees, a car to haul the bike, repairs, upgrades, etc. Racing on public roads seems inexcusably dangerous so racing bikes seem a bit pointless. I even sold my bike and thought of calling motorcyling a day. And of course a couple of months later I got the riding itch. After due introspection I understood that touring is what I long for. I love seeing new places, especially if these places are not staples of modern disposable tourism. Later in 2013 with the adventure ideas in my mind I pulled a plug and ordered a BMW F800 GS Adventure motorcycle for delivery this spring. I decided to change the usual habit of visiting southern countries during vacation and re-visit Sweden and Norway since the old days of living there as a student. Furthermore, I booked a whole month off and did as little planning as possible so as not feel restricted by a prescribed agenda. Before getting into riding I signed-up for a course in off-road riding. One well-known training center is located in Germany near a small town called Hechlingen that 150km away from both, Stuttgart and Munich. It’s within 4 hours of driving from where I live. Enduro Park Hechlingen is an official partner of BMW. Their web-site is comprehensible and easy to use. I highly recommend to book early in advance. I mean 3 or more months early. I was originally planning to attend a two-day training course with a friend of mine but because collectively we postponed it for too long no two-day slots remained available before the tour. Even as we scrambled to sign-up at least for a one-day training my friend did not secure a spot. Ideally, I’d book for a weekend but the only remaining option was a Friday. Enduro Park Hechlingen offers rental bikes but you can also bring your own. From what I have seen during my training I would not recommend anyone to bring their own bike! You’ll likely brake a thing or two and the insurance does not cover track days and training courses. Even though I own a bike I opted for renting the exact same model. I’ve dropped the bike a couple of times. During the day I’ve also seen scratched wind shields, torn blinkers and carnage, just like in the movies: as a biker on his personal Yamaha Tenere pulled in for a stop for a break his bike got of neutral, jerked forward, fell and started spinning. That caused another bike, a BMW 1200 GS to fall causing a domino-like chain reaction with the nearby bikes. I would not want to pay for such damages! Protective clothing, however, is not offered for rent. You must have your own helmet, jacket, trousers and gloves. Enduro boots are an exception. The park offers them at 15 Euro per day. I rented as enduro boots cost dearly and I was not sure whether I’ll do enough off-road riding in the near future to justify the cost. The boot rental is paid on the spot and must be done in cash. I rented a car for 2 days to get there and stayed in a hotel the night before to feel fresh and rested. I stayed at a nearby town in one of the recommended hotels. Originally, I had booked a different guest house but due to miscommunication the guest house was closed at the late hour that I arrived. Finding the center in the morning was not difficult and most people own GPS navigators anyway. I arrived 5 minutes before 9 and most participants were already registered and were waiting in full gear for the briefing to begin. The main building is modern, consisting of a lot of glass panels. There are showers and changing rooms with spacious lockers. I recommend to bring a towel because after a day of intense riding your body will long for a refreshing shower. Once everyone signed-in and took seats around the table instructors introduced themselves. Then, trainees were assigned into 3 groups based on their skills. I got into the beginners group. That was great for two reasons. One, our group was the smallest (about 6) so we got more attention from the instructor. Two, I never rode a bike off-road before. Everyone but me spoke German but all instructors were prepared to converse in English. My German was good enough to understand everything so I have rarely asked for clarification in English. The beginner’s group had a female instructor. Despite her petite size she easily maneuvered a BMW 1200 GS! We went to pick our bikes from the stall. Each bike had a label with trainee’s name so it was easy to locate the bike. The bikes are in great shape. Some parts, like mirrors, are understandably removed to prevent damage. We started the bikes and followed our instructor. As the day progressed we learned various off-road skills and did various excercise. There are a couple of small but important things to keep in mind. Those were repeated many many times over the day. For example, to always keep two fingers over the clutch to stall the engine in case something goes wrong. The training sessions were intermixed with rides across the off-road terrain around the park. Those were really fun! At some point we went on single-track and my first reaction was that it’s not possible to go on a single-track with a 150+ kg motorcycle. But since I had to follow there was no time to get desperate. The training was physically demanding. I am fit and I felt exhausted by the end of it. For this reason I don’t recommend going for a 2 day course unless you’ve done a 1 day training before or have sufficient off-road riding experience under your belt. At lunch we went to a restaurant in a nearby town. The food was already paid for but the drinks were paid for separately. Credit cards were not accepted. After having food we went for fuel and made a stop at a local ATM because I did not bring cash and could not pay for the boots rental. By the end of the day at around 5pm we returned the bikes to the stall and gathered around the table to cheer for our victory and receive certificates that we successfully finished the training! I am confident to ride my bike off-road and I am ready for the upcoming tour! Here we go!